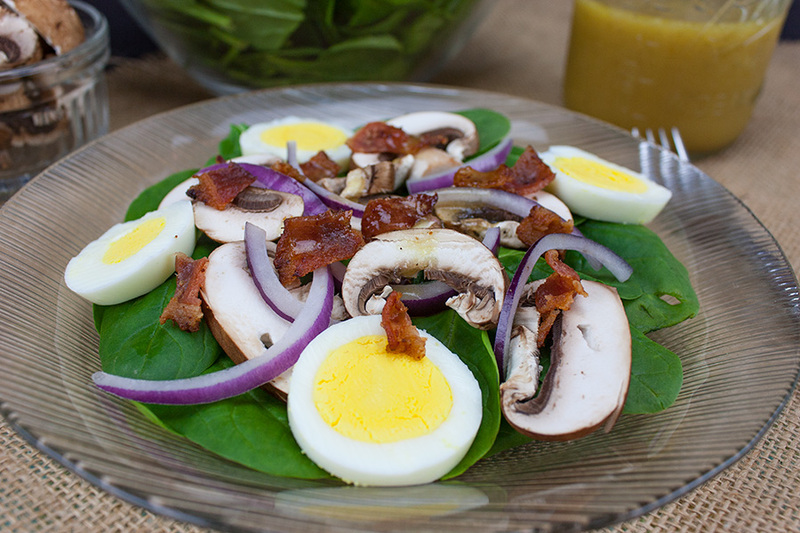 Spinach salad with curry mustard vinaigrette is a favorite in our house. Sometimes you just need to break up that old garden salad routine. 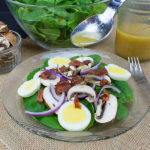 The dressing for this salad is what makes this dish, it has a zippy tang that you just can’t resist. It’s so simple and I’m pretty sure you have the ingredients your pantry just waiting to be mixed! 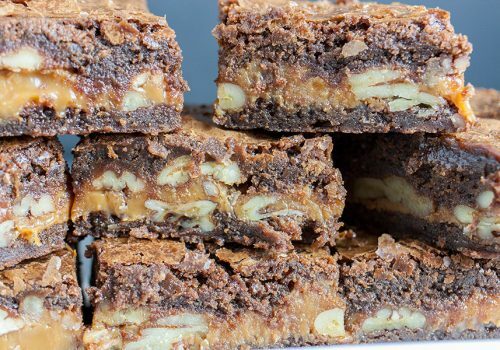 This recipe was shared by a good friend of my sister’s and we have been enjoying it for years! You know the drill, right? Just place all the dressing ingredients in a jar and shake. Refrigerate while assembling the salad. I use the prepackaged bag of spinach and tear off any long stems. Clean, slice the mushrooms. Boil the eggs. Fry the bacon and crumble. We place all the toppings in separate bowls so each person can pick and choose which they prefer. 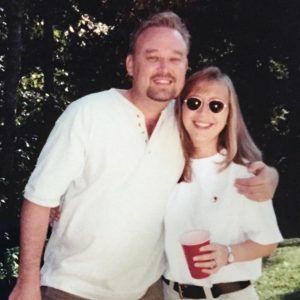 My husband doesn’t like mushrooms and my daughter won’t eat bacon. Neither of them will eat purple onion. 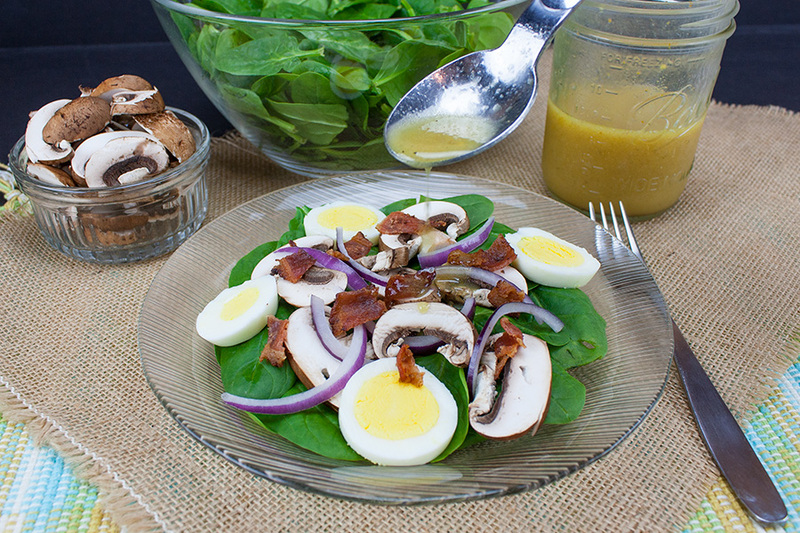 Spinach Salad with Curry Mustard Vinaigrette - Zesty, tangy spinach salad. 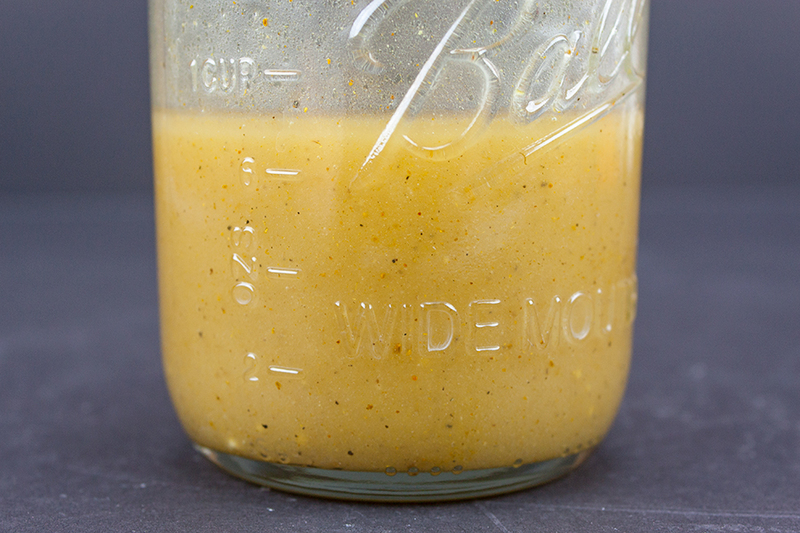 It's all about the most amazing curry mustard vinaigrette! Boil eggs, slice or chop. 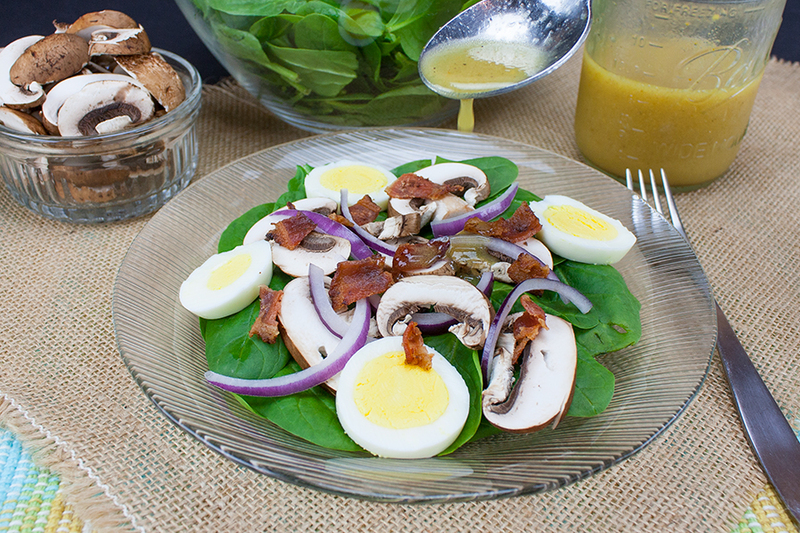 Toss eggs, bacon, mushrooms, and onion in the bowl with the spinach. Or serve individual plates and allow everyone to pick their own toppings. Which is what we do in our house. I made this the other night and it was delicious! 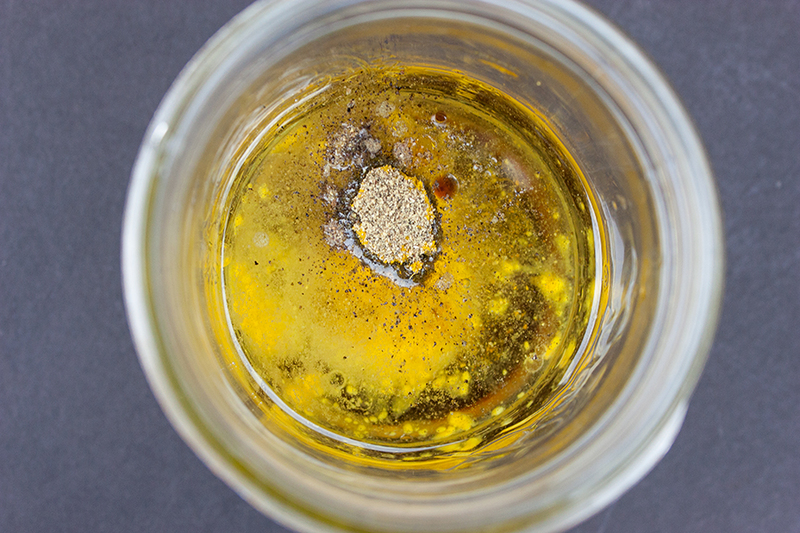 The dressing is full of flavor and I’m putting it on all my salads! 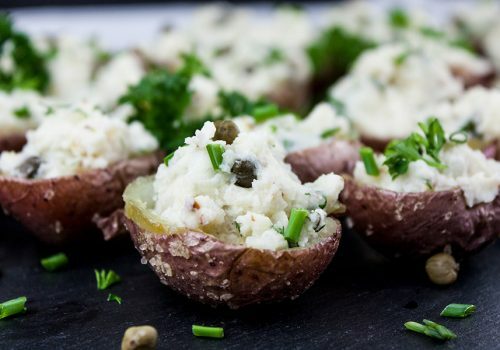 Thanks for an easy, delicious recipe!